There is no need to head to a traditional casino and you no longer have to have a computer with an internet connection to play casino games anymore. You can get the All Slots Mobile app and play the games you love anywhere you want. All Slots Mobile offers the same games and chances to win that you have in real and online casinos, but it allows you to play it on your cell phone. You can do everything you need on your smartphone Android or iOS or tablet. Play the games, deposit money into your account and withdraw your winnings so you can spend your money. This Canadian friendly casino was launched in year 2000 and over the years have a great collection of slots, live casino and various other casino games . Popular among players all around the world this casino is highly regarded Jackpot Factory group of casinos, licensed by the Malta Lotteries & Gaming Authority with an eCogra certification to prove its legitimacy and secure gaming. 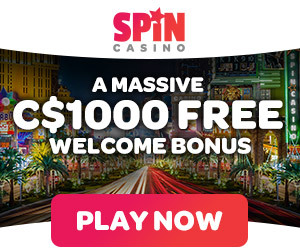 The best thing about this casino is that Canadians can deposit in their own CA dollars in many of the friendly deposits to play Microgaming powered games. All slots casino as the name suggests literally means All Slots. In total there are over 700 games to choose from and out of which there are 400 slots games which include classic 3 reel and fruit machines to more than 100 popular 5 reel video slots all loaded with fun, special features like the wild and scatter symbols, free spins and bonus games. All the games are powered by top notch Microgaming software where you can enjoy Microgaming progressive jackpot mega win games which are 16 in number, like Major Millions, King Cashalot, or Mega Moolah with your iPhone. If you do not wish to play individually the casino has slots tournaments to enjoy from time to time where you can compete with other players. All the games are optimized for various gaming platforms and as said above it means you can play with your PC or Laptop or with your cell phone or tablet that is but your choice. When playing games there are two options for you to choose from, either you download the casino software or play instant version right on your cell phone browser. All Slots Mobile uses the ClearPlay account management system to help you keep track of all of the activity in your account. You can find out how you are progressing towards your rewards and other information about your account easily with this system. The casino offers various friendly methods for Canadians to make a deposit to play at the casino and withdraw their winnings. The main methods of deposit include, Credit cards like Visa and Master; Skrill, Neteller, Instadebit, UseMyFunds, Eco Payz, Entropay and others. You can find here at the banking section more about these methods. Also withdrawal methods include by cheque and other mode of payment to the winners. You can have withdraw and deposit in CAD dollars. Also there are other currencies to use at this casino as being a global player it supports almost most of the used international currencies so no worries on that. The state of the art encryption insures that all of your financial transactions are completely safe and secure. How to get started with your cell phone? It’s very easy to access all slots casino with your cellphone and there are two ways to do it. You can download the casino app all free from iTunes on your iPhone and register yourself at the casino to get started. You can directly visit the all slots casino with your cellphone by simply typing the casino URL https://ca.allslotscasino.com/ on your safari or chrome browser and register yourself. In all the cases you need good internet or WI FI connection to play games. Next click on Join Now or Sign In button on the casino homepage. Register yourself by filling a short form with your few details. Once you open your casino account in either of the above methods you can play games for free or with real money in CAD that’s your choice. Now as you got the bonus cash choose any game from games menu and tap to start playing. If you have any questions or need any help or assistance, you can contact Customer Support. The service is available 24/7 via live chat, in both English and French – perfect for the Canadian players, phone toll free number 1-888-328-3614, or email at support@allslotscasino.com You can find about more toll free numbers here. The casino offers FAQ page for you to have general answers to most of your queries that you may wish to know.